Here in the Midwest we experience the whole spectrum of weather. From the boiling heat to the freezing cold, sometimes it seems like I never know what to expect when I open the front door. Although we manage to deal with the hot temperatures outside by staying in the shade and combat the cold ones by layering on thick coats, it's the rain, mud, slush and puddles that get me the most. My kids have cute rain boots that keep their tootsies dry, but me? I throw on my tennis shoes and end up gritting my teeth when I feel the wetness seeping in on my feet. I've owned tall rain boots in the past, but, as I'm not a "leggings with tall boots" or a "tuck your skinny jeans into your boots" type of gal, the length ends up underneath my clothing and somewhat unnecessary. So where can I find a pair of rain boots that are fashionable, functional, comfortable and will fit with my lifestyle a bit better? This season I didn't have to look any further than the stylish and fun options from Dizzy! Located in the center of South Beach, Dizzy was established in 1999 and has since become known for its unique and imaginative high fashion footwear. No matter what occasion you may have coming up this winter, whether something more formal such as a wedding, more casual such as a family reunion, or more everyday such as... well, just wanting a cute pair of shoes, Dizzy has them for you. Along with the vivid, bright colors and the spectacularly fun details (careful research goes into the stones and ornaments that adorn their shoes) every single pair of sandals, boots, flats and wedges are hand-crafted to ensure quality and fit. Excited about the possibility of finding a low pair of rain boots to get my feet through all of the rain and slush that we will have the next few months (and beyond), I couldn't wait to see the Blooming rain boot in person. Available in black or beige, I love the simple style of the Blooming boot, yet the chic shape and form gives them a little something extra. 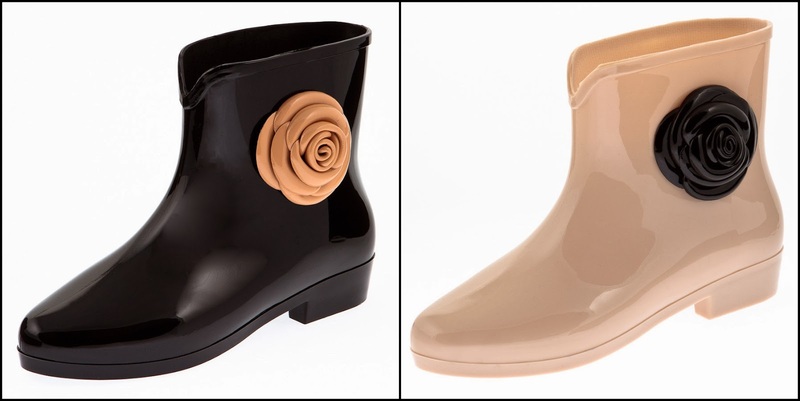 Not to mention the cute flower addition that turns these jelly rain boots from ordinary to super cute and fun! After examining the Blooming boots from all angles, I was happy to find that my feet slid into them easily and comfortably. Although Dizzy notes on their website that these boots run small, I found them a great fit in my usual size. As I've worn these classy little boots around more and more, I have found that the man-made upper, sole and lining have continued to adapt to my feet and haven't rubbed or hurt in any way. Add to that the 1" heel height that is perfectly comfortable and the 5.25" shaft height that slides on quickly and easily, and there has just been no reason to not reach for these on every wet day we've had! Retailing for $55, the Blooming rain boots are going to be my go-to choice of footwear all the way until the snow requires bigger and bulkier options! 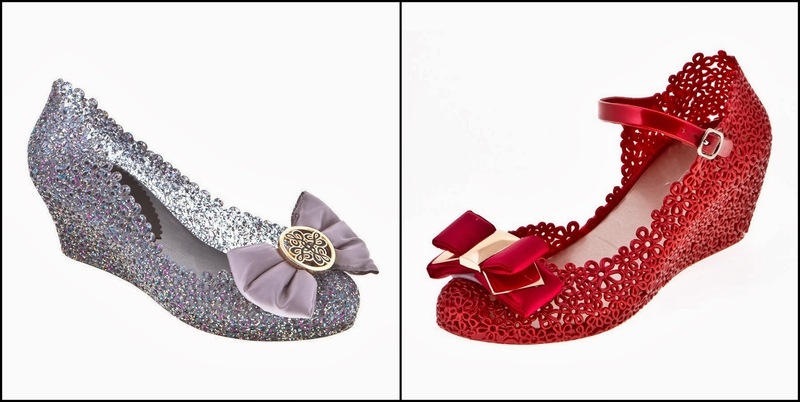 With multiple collections of adorable jelly styles to choose from, there is sure to be a look to match everyone's personality and wardrobe from Dizzy. No matter if you choose to go bright and bold or slightly more classic and traditional, your feet will thank you with these great shoes! Now, can someone please invite me to an event where I can wear the Fame or Holly wedges? Be sure to visit DizzySandals.com to see all of the innovative, fresh designs and to make a purchase of your own. You'll also want to connect with Dizzy on Facebook and Twitter so that you don't miss anything new as this company continues to evolve and offer their fun footwear to women everywhere. One lucky person will win their choice* of shoes from Dizzy! A big thank you to Dizzy for providing a pair of Blooming boots for me to review as well as the shoes of choice for one lucky giveaway winner. The opinions shared are my own and honest and if you really need to see more, click here to see how I roll. Bali Bows - but it looks like they don't have my size in any color. I like the black and the multi. I like the Bali Bows! I like the brown medella. I like the Madela wedges a lot. The "Climb" jelly rain boots caught my eye. There are so many shoes on their site that caught my eye, BUT I really like Rainy Cabbage boots. I love the Holly shoes~! I like the bejeweled sandals. They are black cut out jelly flats, wow super cute !! I am so in love with this brand of boots/shoes. I LOVE LOVE LOVE the rain boots selection, especially the RAINY HOOPS boots. These are all SO cute. I really like the rainy hoops boots. I completely agree about the need for low rain boots. Here in Maine we have a fifth season--mud season! I think the PicaJewel boots would help me get through even that with a smile. Love! So many favorites, if I had to choose just one, the T-Drop is beautiful! I like the sparkle of the Bali Bows flats. The Sam in black has possibilities When my daughter gets too big to tie shoes... right? I like the Madela wedge. 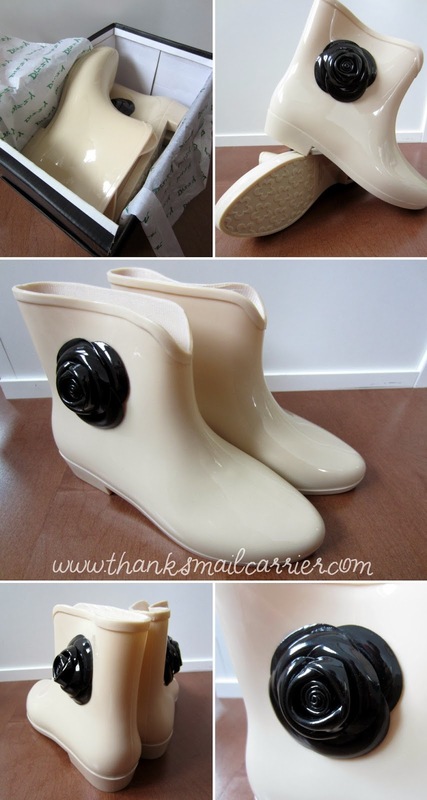 I love the white rain boots! I love the Streetwalk boots! I love the tripp jellies in purple-they are so cute! I love the Ease shoes. They look very comfortable. I like the choker sandals. I like the Breeze shoes. I love the "enjoy" wedges. I want Picabow in tiger. My fave pair are the Red Holly Jellies. the t-drop sandals are cool. I like the Regan Women's Jelly Rain Boots. I like the PICABELT boots. Love the Regan Boot in black. enjoy in beige look supercute! I really love the Regan Boots! 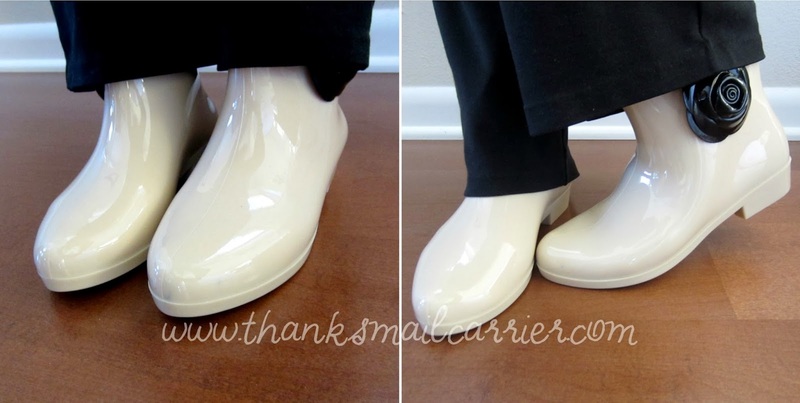 Love the low rain boots! Thanks for the chance to win a pair. I love the Holly wedgies. I like the Rainy Hoops boots. I like the silver cords! I like the Madela wedge, super cute. I think the T-Drop wedges are my favorites! I really like the Regan Boots. Thanks so much for the fantastic giveaway! The streetwalk caught my eye, my daughter would love these. The Tip Toe Flats are cute and on sale. The Rahab looks so sophisticated! The T Drop Jelly sandals are my style. I love the PicaBling shoe boots in black! they look practical yet cute & fashionable! The Regan Boots are cute. I love the Regan boots! The Regan boots are very cute! the climb boots in black are what I would choose. Thanks! I really like the Rehab flat shoes. Thank you for the super giveaway opportunity. Keep up the terrific blogging. The Bobbi or Ease flats. I like the black T-Drop flats. Thanks. this would not be for me.. I cannot but cannot wear narrow shoes and these are SO narrow. whew. But a girl I am near to would love the holly wedges. I wish more shoe makers would make WW size. Get real, MOST women shove their feet into narrow at all costs to their poor feet. I like the Regan boots. I like the Climb boots. I love the mused sandals. I like the ease in gold. T-Princess in black!! I love these! i really love the fame in grey. I like the Holly shoes. Sandals are my weakness! I like the Posey and the Tuxedo sandals. I like the Crochet Wedge. I like the Punky boot in brown from the Dizzy Shoe site. I really like the Rainy hoops and rainy cabbage. too cute! I think the PICABELT boot is cute! I love the Pica Blind low boots in tan! So cute! I live in Oregon and would love those rain boots! I love all the rain boots and would be happy with any one of them, but the REGAN caught my eye. I love the T-drop. Very cute. I like the Pillar sandals. I really like the Regan boots. I know my daughter would like the Rainbow sandals in coral color. Thank you! I like the Madela wedges. Love the Rainbow jelly sandals! The Breeze flat looks very nice!